Burgundy (Bourgogne). The word alone can be as intimidating as the price points the region commands. The hierarchical complexities of communes, crus, and climats coupled with a seemingly endless litany of producers – half of whom seem to share surnames – make this region dizzyingly complicated. While Bourgogne is incredibly nuanced, it’s also dominated by two varietals: Pinot Noir and Chardonnay. 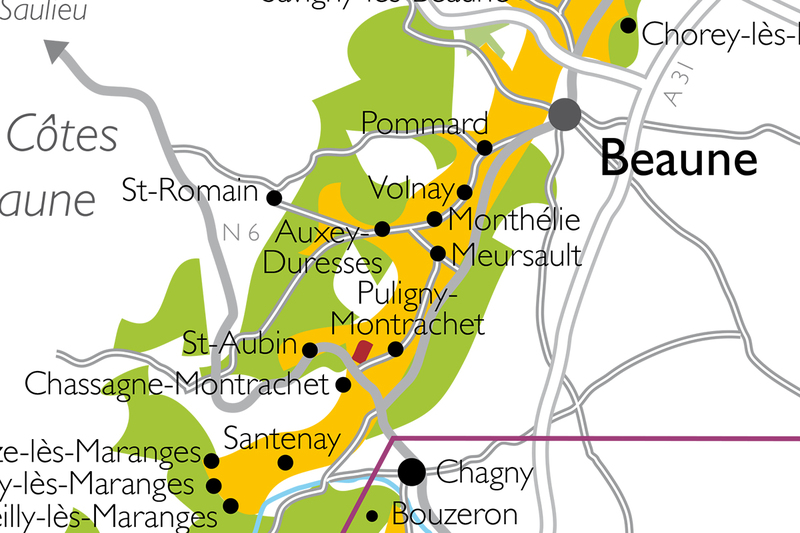 When approached as a region of single-varietal reds and whites, Bourgogne becomes far less daunting. Bourgogne can be broken down into 5 main growing regions. 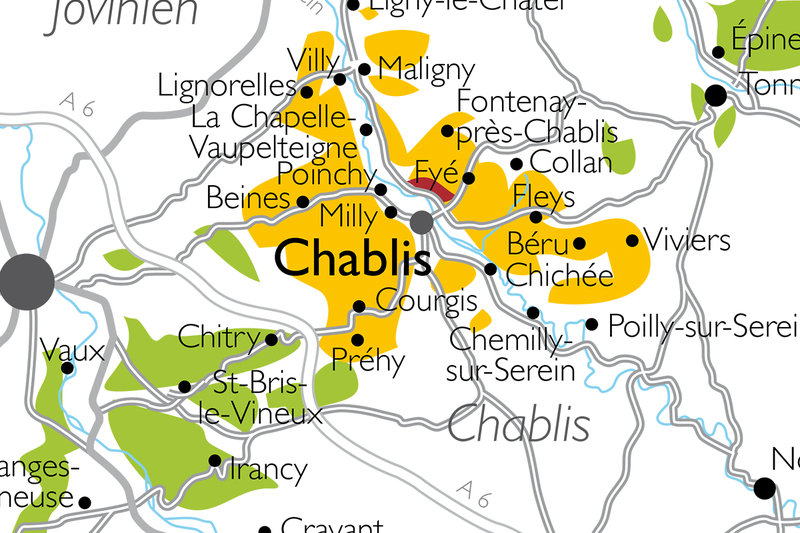 Chablis, the coolest, most northerly region, Côte de Nuits, home to the greatest Pinot Noirs in the world, Côte de Beaune, home to the finest Chardonnays, Côte Chalonnaise, and finally Mâconnais, famous for riper fruit and associated most closely with the Pouilly-Fuissé AC. Each region expresses itself differently – aromatically, structurally, and in overall complexity. These distinct characteristics and subtleties are prime examples of terroir, the combination of soil, climate, weather, aspect and angle of slope, and human intervention that is embodied by the great vineyards of Bourgogne. Before we delve into each growing region, it’s worth taking a step back to understand what’s underneath the vineyards. 250 million years ago this region was nothing more than a warm, shallow, tropical lagoon. Over the next 150 million years, shellfish and algae formed layers and layers of marine deposits. Add a little bit of pressure and another hundred million years, and you’ve got Bourgogne’s famous limestone bedrock. While its structure varies from kimmeridgian limestone in Chablis to the marl (clay and limestone) found in Côte de Nuits, calcareous soils rich in marine fossils undergird the region as a whole. During the formation of the Alps some 60 million years ago, the region’s hills, hollows and folds began to show. Eventually, the land between Bourgogne and Jura (the mountainous wine region in the French Alps) collapsed, forming the Bressan rift. This rift exposed precious layers of limestone and marl on the famous eastern slopes known as the Côte d’Or (Golden Slope). Even today, within each handful of soil, you can find small, fossilized shellfish. At the northern edge of Bourgogne, closer to Champagne than the Côte d’Or, is Chablis. This is home to zesty white wines made exclusively from Chardonnay. A cool climate and short growing season produce high-acid grapes with pronounced citrus, green apple, pear, and white floral aromas. The unique kimmeridgian soils, high in calcium, add a layer of minerality often perceived as stony or salty. These wines almost never see new oak barrels, which keep them fresh and fruit-forward, with a zesty mineral edge. Grand Cru and some Premier Cru Chablis will see neutral oak with extended fine lees (dead yeast) contact that adds to the overall complexity of the wine by imparting bread dough, toast, and smoke aromas, along with a more oxidative fruit character. These wines have the ability to age 10+ years, developing additional tertiary aromas and flavors with time. Known as the home of Pinot Noir, this is where deeper calcareous topsoil over marl coupled with an ideal vineyard exposure to give Pinot Noir the perfect opportunity to develop hauntingly complex aromas through a long, slow ripening process. The Grand Cru and Premier Cru vineyards of Côte de Nuits are some of the most prized parcels of land in the world – and the wines they produce some of the most expensive. There are also several village names that may appear on the label and can be great indicators of style without the astronomical price points. The wines of Côte de Nuits show the darker, bolder, structured, and full-bodied side of Pinot Noir. Gevrey-Chambertin, to the north, is the most “masculine” of the region’s expressions, with a bigger, more tannic structure, and darker fruit notes like blackcurrant and black cherry. Morey-Saint-Denis sits between Gevrey-Chambertin and Chambolle-Musigny and displays the structure of its northern neighbor and the perfume and spice of its southern cousin. Chambolle, south of Morey-St-Denis, is more refined, softer, and often described as more delicate than the wines to the north. Violet, spice, red berry fruits, and mushroom-y character can be found here. Vosne-Romanée is home to the most famous vineyards in the world. These wines have the perfect balance of structure, spice, fruit (red and black), forest floor, mushroom, and earth woven together so tightly they take decades to fully reveal themselves. 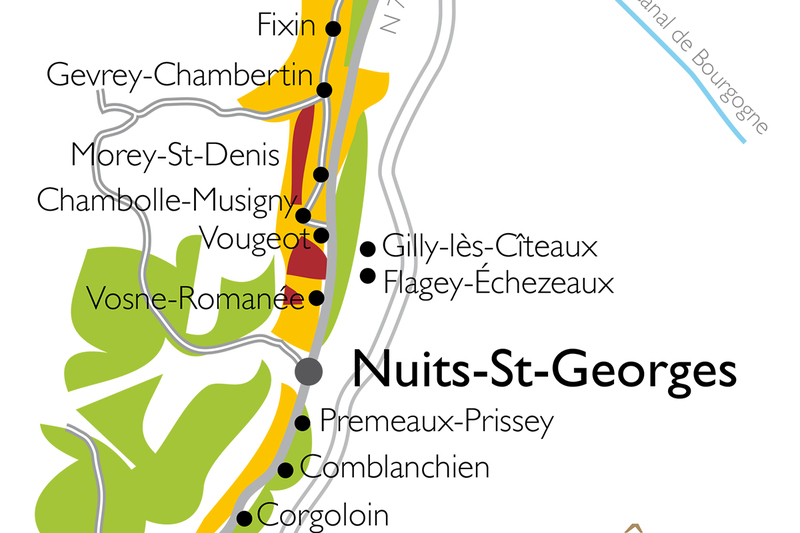 Marsannay, Fixin, Vougot, and Nuits-St-Georges round out the region and can provide real value – compared to their neighbors, at least. This is where Chardonnay vines can sink their roots deep into limestone bedrock and create the foundation for finest white wines in the world. Think of Chardonnay grapes as both the canvas and the paint and the Bourgogne Vignerons (vineyard managers and winemakers) as the master painters. New and old French oak, lees contact, bâttonage (the stirring of lees), and malolactic fermentation are just a few of the tools the winemaker has at her/his disposal. In Meursault, Saint-Aubin, Puligny-Montrachet, and Chassagne-Montrachet, Chardonnay comes into a brilliant focus. Marl subsoil and deeper brown calcareous topsoil give way to bedrock composed almost purely of limestone. Meursault – known for having a classic balance of fruit, florality, minerality, and subtle yet well-integrated aromas of new French oak – is a perfect entry point into these wines, as the rule of softer body and richer fruit is fairly consistent across the appellation. Saint-Aubin, located in a dried river valley northwest of Chassange-Montrachet, is home to lighter, higher-acid expressions similar to the wines of Montrachet. Both Meursault and Saint-Aubin offer ripe green and yellow apple, lemon, white blossom aromas, with subtle mushroom, toasted hazelnut, and chalky, mineral notes. The vineyards of Puligny-Montrachet and Chassange-Montrachet tend to produce nervier expressions, often with more pronounced oak. The fruit aromatics here tend to reach slightly riper levels, with more golden apple, Meyer lemon, and honeydew melon alongside honeysuckle and a more prominent dose of spice, toast, and nutty characteristics derived from oak-aging. These wines are tightly knit, with a pronounced acidity that permits long-term aging. With a little patience, these wines will develop into incredibly complex masterworks replete with tones of white earth, mushroom, and truffle that accent their core of dried fruit and mineral. Located just south of Côte de Beaune, this region is flatter but sits at higher elevation, offering a lighter, more rustic expression of both Pinot Noir and Chardonnay. Rully, Mercurey, and Givy offer incredible value for Pinot Noir and are quickly becoming the epicenter for the region’s sparkling wine, Crémant de Bourgogne. As each vintage gets warmer, this region’s products are becoming more robust and refined, with qualities of red cherry, ripe raspberry, strawberry, earth and forest underbrush. These are some of the best-value Pinot Noir wines you can find on the market, but alas, like everything in Bourgogne, the secret is out, and prices are starting to rise. Bourgogne’s most southerly region, Mâconnais is home to rich, dense, and creamy expressions of Chardonnay. Here the climate is warmer and the fruit gets considerably riper than in the Côte d’Or. Peach, pineapple, and cantaloupe can dominate the palate, with citrus shining through where more acidity is present. The wines are often mouthcoatingly rich, with creamy texture and buttered toast aromas. Pouilly-Fuissé and Saint-Véran are the two most famous and familiar appellations. Pouilly-Fuissé’s landscape is a series of limestone amphitheaters acting like suntraps to fully ripen Chardonnay, creating textbook examples of ripe and rich white wine. These wines are often aged in new French oak, as the ripe fruits are able to stand up to the potent aromas associated with it. 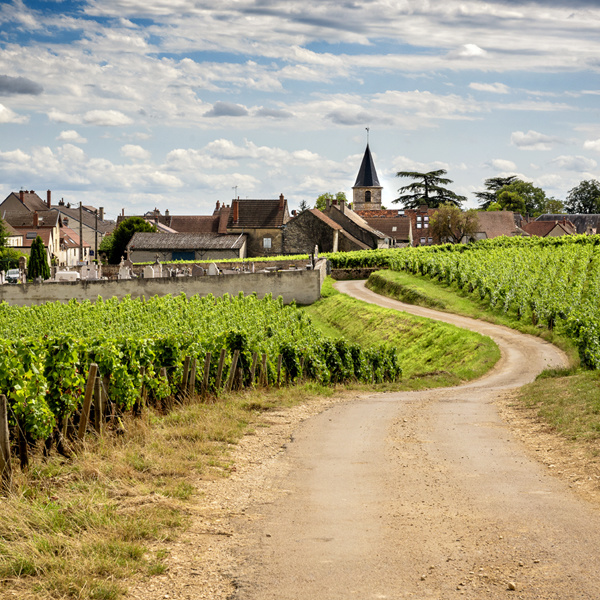 While Mâconnais may not be the most refined example of Bourgogne, its high quality and reasonable pricing make it one of the better values in all of France. The vineyards here are often intermixed with the wooded hilltops west of the Côte d’Or. They sit at higher elevations and typically offer lighter, tarter, and more acidic expressions of both Chardonnay and Pinot Noir. With varying soils, vineyard aspects, and protection from the westerly winds, these wines do not command the same respect and price points as the wines produced to their east. With the region as a whole warming due to climate change, these vineyards are producing riper fruit, providing another source of exceptional quality for a much lower price point. Bourgogne Blanc and Bourgogne Rouge are a pan-regional classification for Chardonnay and Pinot Noir, respectively. These wines typically come from unclassified vineyards located on lower and flatter parcels. The deeper soils here, more alluvial in nature, with a higher loam content, are more fertile, producing higher yields of less concentrated fruit. In the right vintages, and in the right hands, these grapes can still produce beautiful expressions of both Pinot Noir and Chardonnay at prices you can justify for a weekday bottle. We hope this helps paint a clearer picture of the world of Bourgogne and gives you more confidence in navigating the hundreds of unique and nuanced vineyards and villages of Chablis, Côte de Nuits, Côte de Beaune, Côte Chalonnaise, and Mâconnais. Few things are as revelatory as a good bottle of Burgundy, and we hope you can find one that inspires you to learn more.